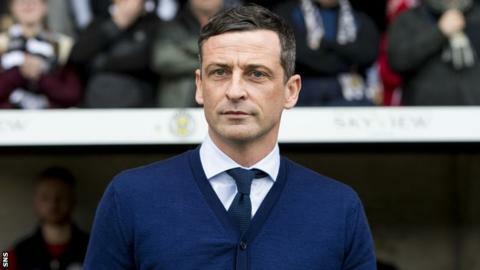 St Mirren have offered Jack Ross an improved deal in an effort to hold on to their manager, BBC Scotland has learned. Ross, 41, met with Ipswich Town last week for further talks over their managerial vacancy. He is believed to be a frontrunner for the job at the Championship club but remains focused on preparing St Mirren for next season's Premiership. The Buddies won the Scottish Championship this season. Former Alloa Athletic manager Ross, who is contracted at St Mirren until 2020, took over in Paisley last season and steered the side clear of relegation before this term sealing the club's return to the top flight, from which they were relegated in 2015. He remained in Paisley following talks with Barnsley in February and St Mirren rejected an approach for their manager from Dundee last season. Ipswich, who finished 12th in the Championship this season, parted with manager Mick McCarthy in April.